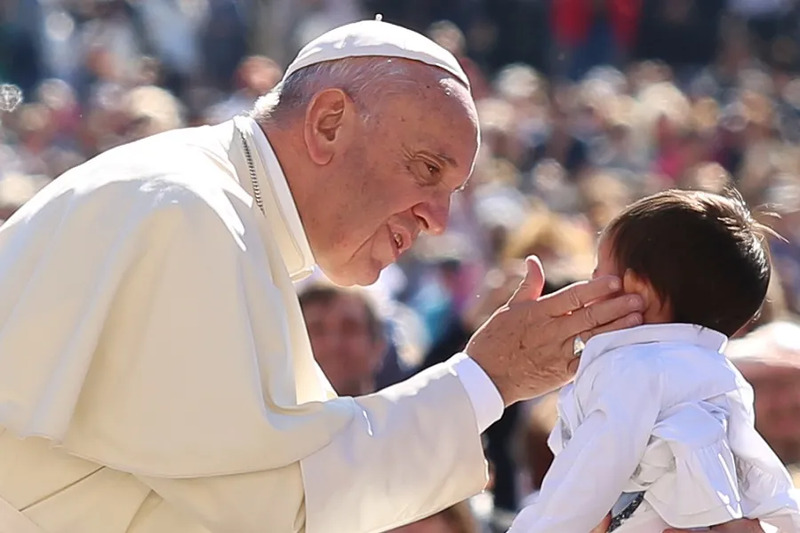 Vatican City, Oct 1, 2017 / 03:34 am (CNA/EWTN News).- On Sunday Pope Francis said that we can’t improve our political landscape by observing and judging from afar, but that it involves personal involvement, which should always be done in a spirit of charity and helpfulness. 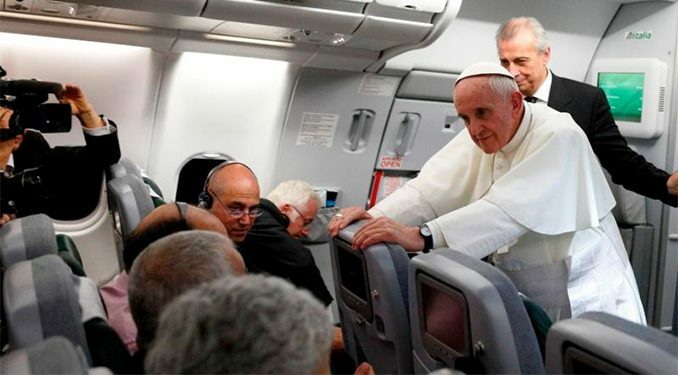 “Try to act personally instead of just looking and criticizing the work of others from the balcony,” the Pope said Oct. 1. 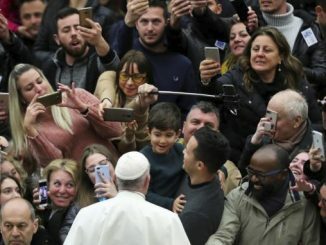 Pope Francis spoke to people in the Italian town of Cesena during a day trip to Cesena and Bologna Oct. 1. In Cesena he met with citizens of the town and with priests, religious and lay people at the city’s cathedral. In Bologna the Pope’s schedule included meetings with migrants and refugees, clergy and religious, academics and students, and workers and the unemployed. “I invite you to consider the nobility of political action in the name and favor of the people,” he said. In recent years, the true aim of politics has appeared to retreat in the face of aggression and financial power. Thus, we must “rediscover the value” of this essential part of society and give our contribution – recognizing the need for political ideas to be held up to reality and reshaped as necessary. This won’t fix everything quickly or easily, of course, he continued. “The magic wand doesn’t work in politics.” But if a politician does wrong: constructively tell them, he encouraged. We all make mistakes, Francis said. And when we do, we should apologize, return to a right path and go on. Concluding, he said that it is the right of everyone to have a voice in politics, but especially we should listen to “the young and the elderly.” To young people because they are the ones with the energy to do things, and to the elderly because they have the wisdom and authority of life. The people expect from good politics the defense and “harmonious development” of their heritage and its best potential, he said. 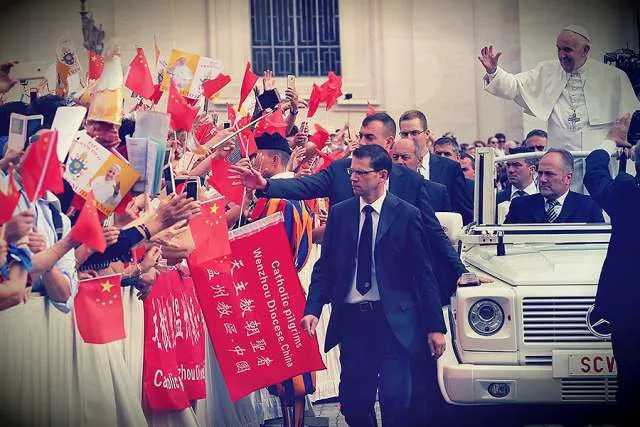 According to the statement the diocese’s territory will be defined by the civil boundaries of “Chengde City” and will require the modification of the dioceses of Jehol/Jinzhou and Chifeng, as a portion of each will become part of the new diocese.